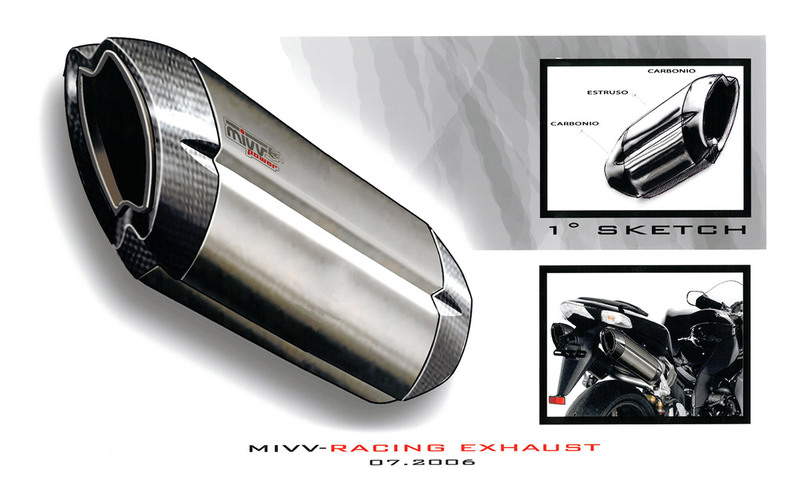 The objective of our company is to produce exhausts of a high technical standard. For this, we need to make sure that our products are consistently subjected to checks, so that maximum performance can be obtained. Our engineers of the Research and Development team can take advantage of state of the art premises and equipment, which include a semi-anechoic chamber for the measurement of noise in controlled environmental conditions, as well as many types of engine test benches (an eddy current static bench, a roller bench, two dynamic benches). The types of measurements carried out are: exhaust system performance; sound measurements and temperature measurements. Once the motorbike for the realisation of a prototype has been selected, this is then perfected based on the results obtained during the experimental checks on the bench test and a range of noise measurements that give the possibility of calibrating the noise levels within the limits permitted by the law, without jeopardising the performance of the exhaust system. Following measurements of temperatures under stress, we are then able to highlight critical issues that could occur on parts undergoing particularly intense levels of stress. For us, it is a duty to meet the needs of those who love to distinguish themselves through the look of their motorbikes. The look of our exhausts is therefore a fundamental aspect of our world. This is the reason why it is developed together with specialist designers of the motorcycle sector. During the years, we have patented many of our innovative design projects. For our exhausts, we use the best materials available on the market. The most technically advanced models, normally used in the professional field (Full System Titanium), are developed using grade 1 slow titanium, a metal that offers a 40% weight reduction when compared with base steel. However, at high temperatures titanium absorbs oxygen, becoming brittle, and therefore not well suited to the heat levels imposed by engines. For these applications, we use special titanium alloys capable of limiting oxygen absorption, and therefore are more capable of withstanding temperatures exceeding 800 °C, whilst maintaining the lightness of titanium. Of fundamental importance is also the selection of the thickness, which impacts on the weight and the resistance to stress of the product. In order to obtain these characteristics, we have implemented production technologies that enable us to process very low thicknesses (0.6 to 1 mm). The carbon used for our exhausts is twill 3k 200 g/sqm, impregnated with special resins that can withstand high temperatures. In purely competition versions, we can guarantee resistances exceeding 200 °C. Lastly, we pay the utmost attention to sound absorbing materials, as they are of fundamental importance for the reduction of noise and heat, using cartridges manufactured with a range of fabrics (14 micron CE textured), specifically conceived for the reduction of noise, particularly at high frequencies, and capable of withstanding high temperatures.